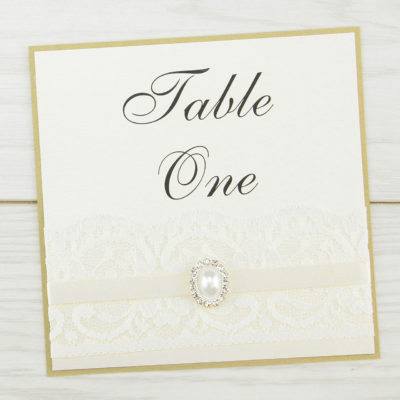 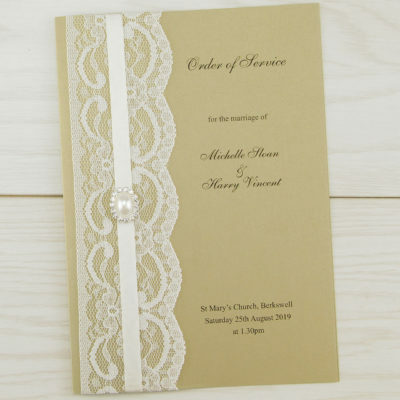 A beautiful vintage design, with delicate lace and hand tied ribbon. 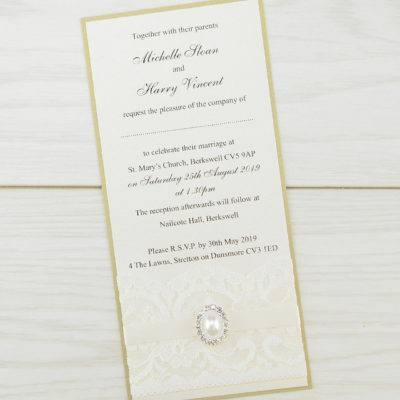 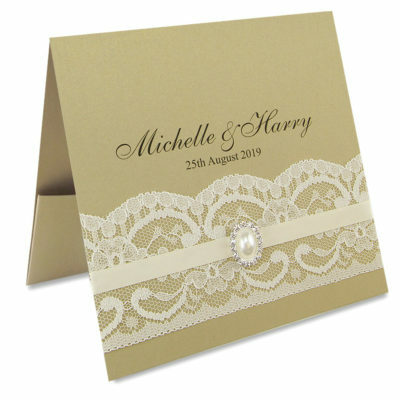 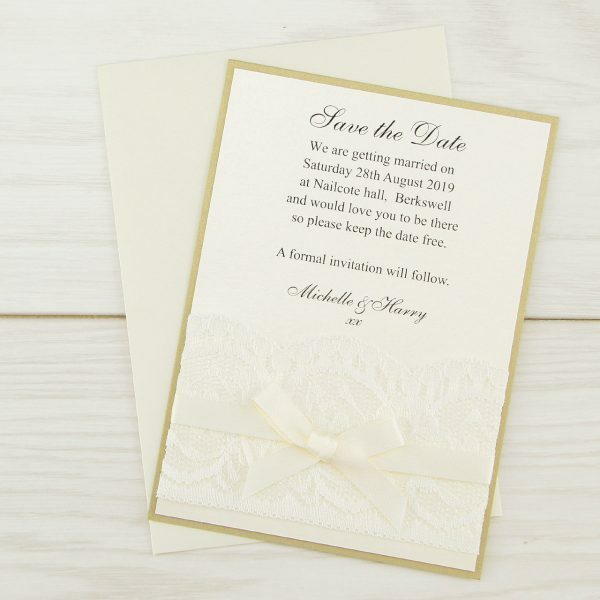 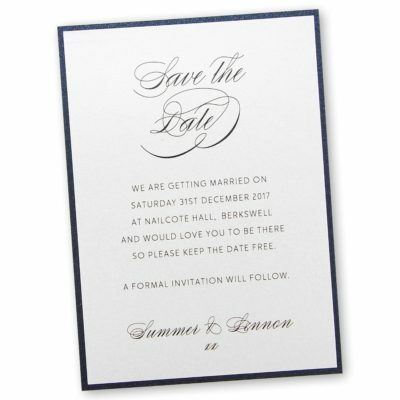 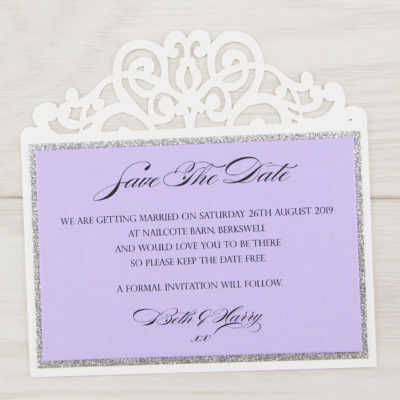 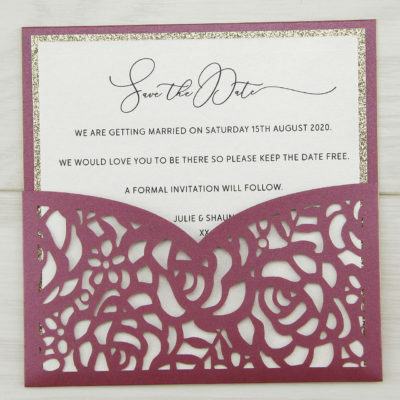 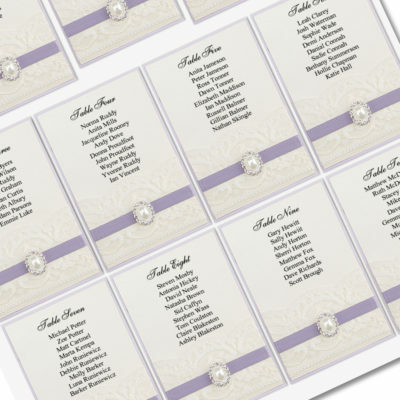 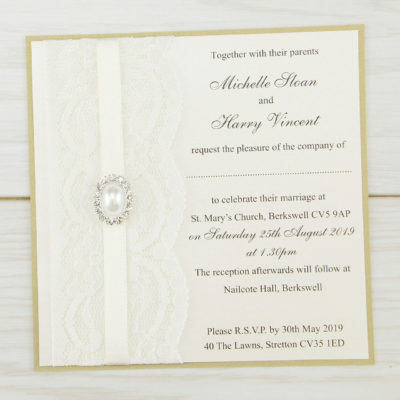 The insert is printed on pearlised cream with cream lace, customise the base and ribbon to your theme. 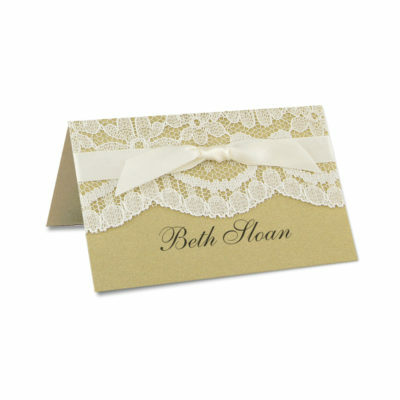 Base card, lace, 10mm ribbon, pearlised cream insert with personalised print, envelope.